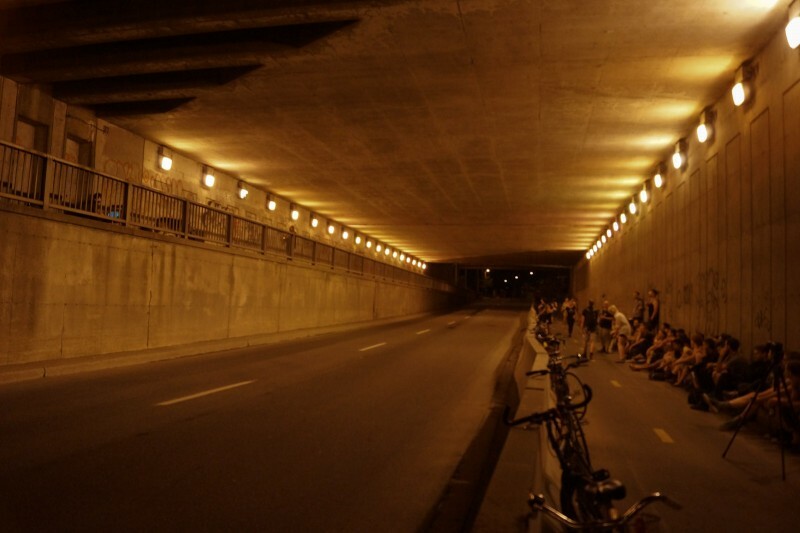 An immersive multi-channel sound performance in a high-traffic 200 meter long underpass. The intention of the piece was to create a soundscape of layered harmony and field recordings that responded to the dense transient activity taking place in the space. Through usurping the volume and density of the cars, bicycles and trains driving through and overhead, the traffic sounds became instruments in the piece- creating wave-like sound movements. Presented as part Suoni per Il Popolo Festival 2011/12 and Ghosts of Public Spaces/Actions!